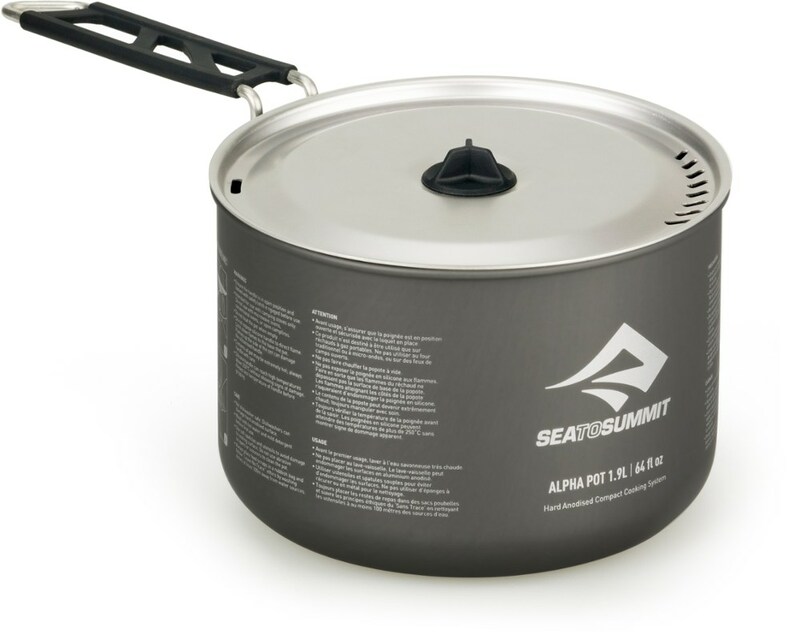 Sea to Summit Camp & Hike Alpha Pot 1.2 L 710. 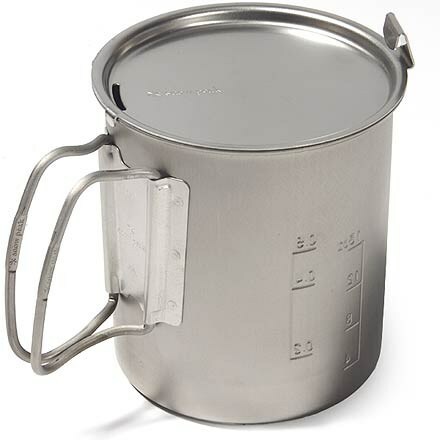 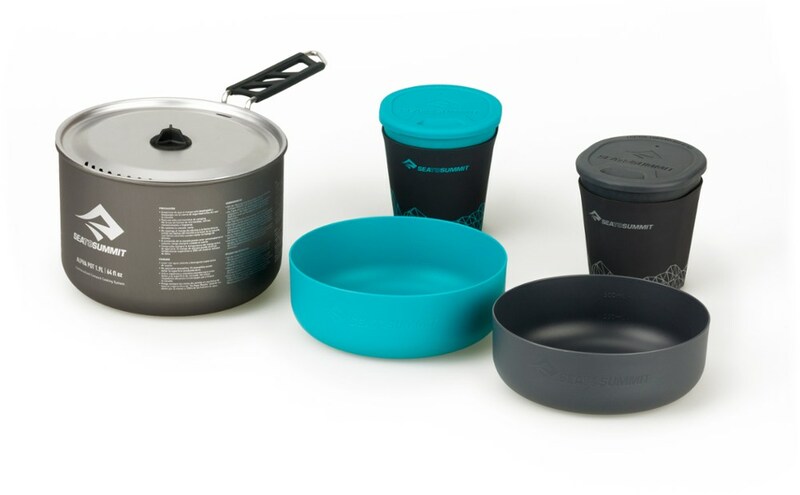 Using a hard-anodized alloythe AlphaPots provide a durable abrasion resistant and easy to clean cooking surface.With clever features like the Pivot-Lockhandle that locks securely into place during use and locks away for transportation the silicone Lid Keepto rest the lid on the side of your pot during cooking and the unique slotted strainer pattern in the lid you'll be creating fresh gourmet farewith ease for all your backcountry meals. 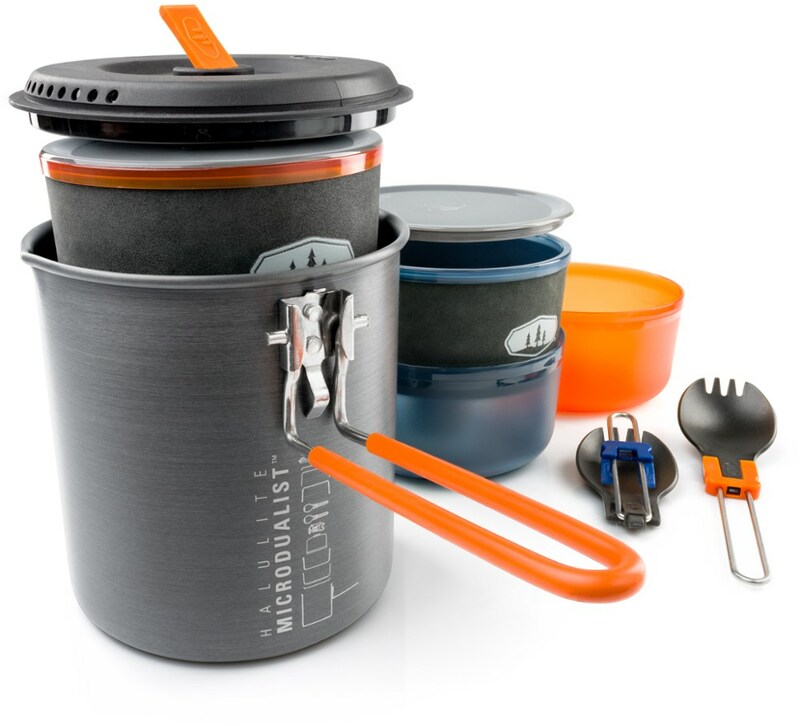 The Alpha Pots nest neatly with the Delta Light dinnerware pieces to create a selection of comprehensive camp kitchen sets you'll never leave behind. 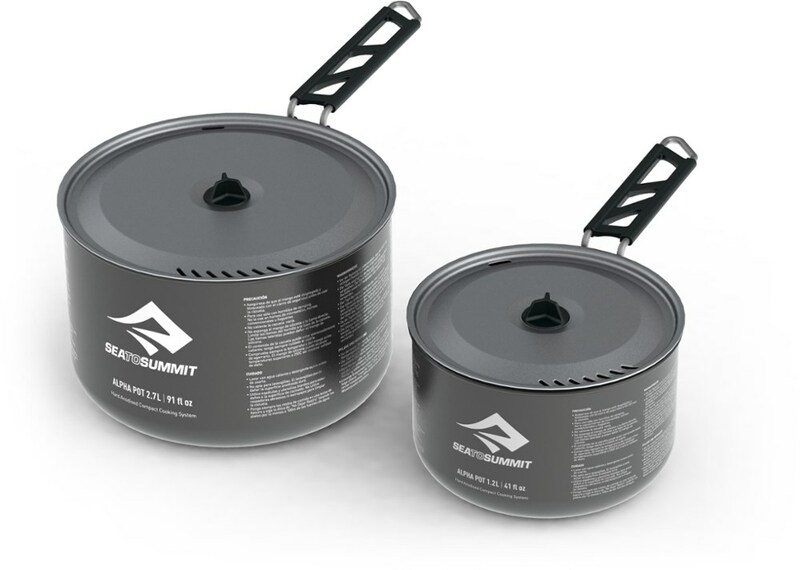 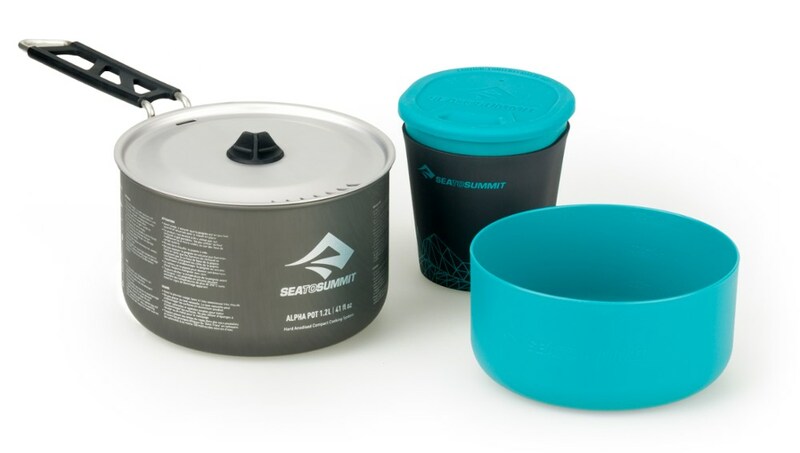 Serve up piping hot morning porridge or spicy rice and beans with the help of the 1.2-liter Sea to Summit Alpha pot. 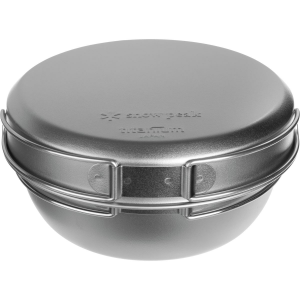 It has an internal surface that's durable, abrasion-resistant and easy to clean.